MutationForecaster® combines our world-leading genome interpretation software on your exome, gene panel, or complete genome (Shannon transcription factor and splicing pipelines, ASSEDA, Veridical) with the Cytognomix User Variation Database and Variant Effect Predictor. With our integrated suite of software products, analyze coding, non-coding, and copy number variants, and compare new results with existing or your own database. Select predicted mutations by phenotype using articles with CytoVisualization Analytics. With Workflows, automatically perform end-to-end analysis with all of our software products. Ionizing radiation produces characteristic chromosome changes. The altered chromosomes contain two central constrictions, termed centromeres, instead of one (known as dicentric chromosomes [DCs]). Chromosome biodosimetry is approved by the IAEA for occupational radiation exposure, radiation emergencies, or monitoring long term exposures. In emergency responses to a range of doses, labs need efficient methods that identify DCs. Cytognomix has developed a novel approach to find DCs that is independent of chromosome length, shape and structure from different laboratories (paper: TBME). 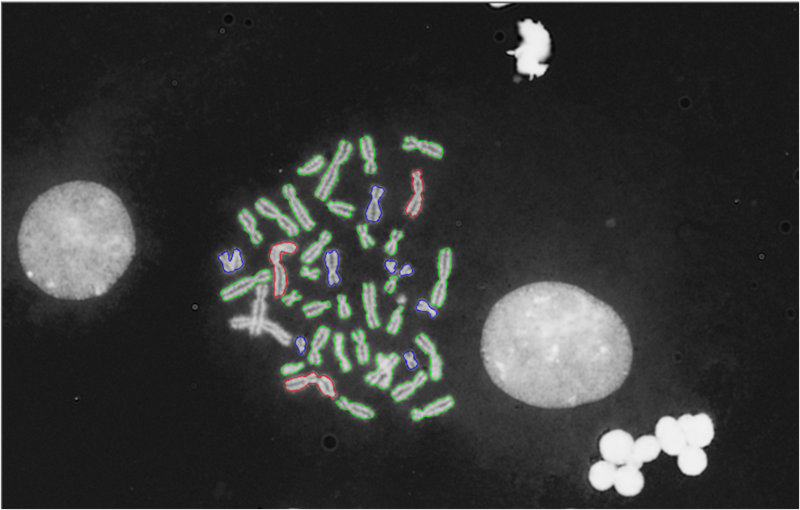 The Automated Dicentric Chromosome Identifier and Dose Estimator (ADCI) software works on multiple platforms and uses images produced by any of the existing automated metaphase capture systems found in most cytogenetic laboratories. ADCI is now available for for trial or purchase (link). Or contact us for details (pricing). ADCI* uses machine learning based algorithms with high sensitivity and specificity that distinguish monocentric and dicentric chromosomes (Try the Dicentric Chromosome Identifier web app). With novel image segmentation, ADCI has become a fully functional cytogenetic biodosimetry system. ADCI takes images from all types of commercial metaphase scanning systems, selects high quality cells for analysis, identifies dicentric chromosomes (removing false positives), builds biodosimetry calibration curves, and estimates exposures. ADCI fulfills the criteria established by the IAEA for accurate triage biodosimetry of a sample in less than an hour. The accuracy is comparable to an experienced cytogeneticist. Check out our online user manual: wiki. We find and validate mutations that others cannot with advanced, patented genomic probe and bioinformatic technologies. 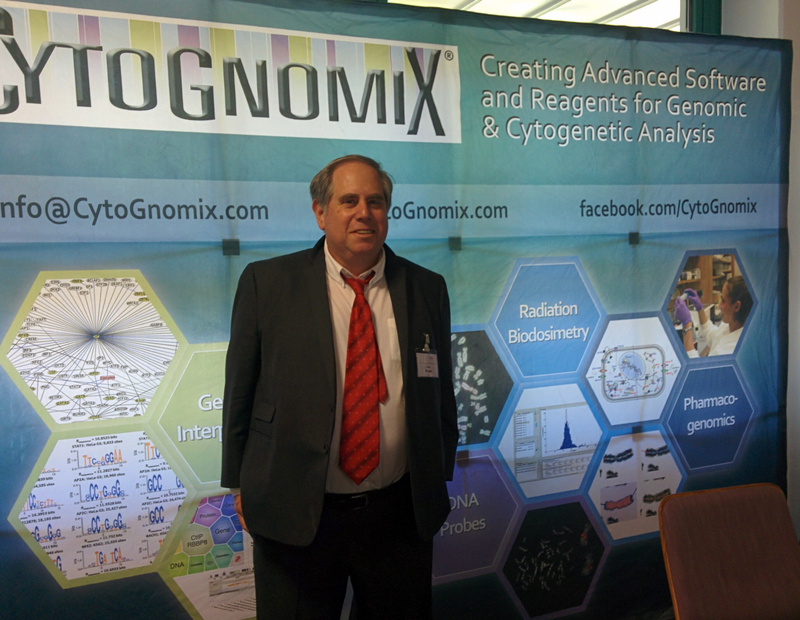 Cytognomix continues our long track record of creating technologies for genomic medicine. We anticipate and implement the needs of the biomedical and clinical genomics communities. Browse the products section of the menu found in the header bar for more information regarding any of our services. Don’t want to run your own analyses on MutationForecaster®? Let us do it for you with our Bespoke Analysis Service. Microarray-based comparative genomic hybridization (aCGH) can use SC technology to increase reproducibility and reduce cost per sample. May 4, 2015. Comment on PMID 23348723. 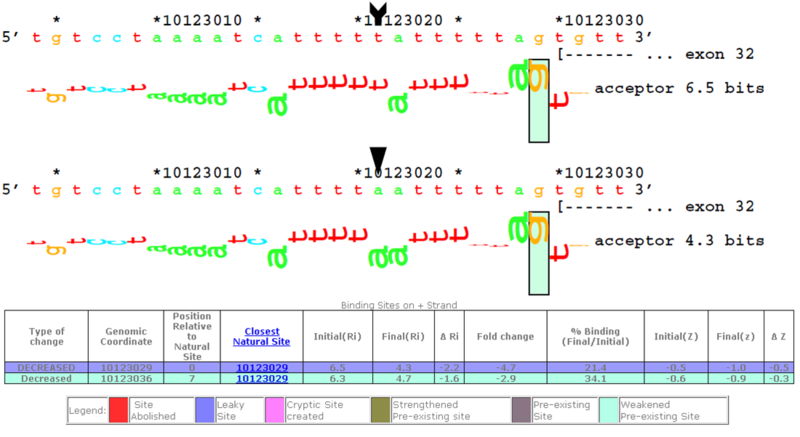 Prediction of mutant mRNA splice isoforms by information theory-based exon definition. Dec. 7, 2017. Rogan PK, Mucaki EJ. Comment on PMID 29185120: Characterization of a novel germline BRCA1 splice variant, c.5332+4delA. In: PubMed Commons [Internet]. Bethesda (MD): National Library of Medicine; 2017 Nov 28 [cited 2017 Dec 7]. Dec 12, 2017. Comment on PubMed PMID 23169495: Analysis of the effects of rare variants on splicing identifies alterations in GABAA receptor genes in autism spectrum disorder individuals. Jan. 13 and 21, 2018. Comments on PubMed PMID 29280214: Thorough in silico and in vitro cDNA analysis of 21 putative BRCA1 and BRCA2 splice variants and a complex tandem duplication in BRCA2, allowing the identification of activated cryptic splice donor sites in BRCA2 exon 11. Written by: Peter Rogan on May 25, 2018. Last revised by: May 29, 2018.